Did you know? One of the biggest sources of household waste is your kitchen! 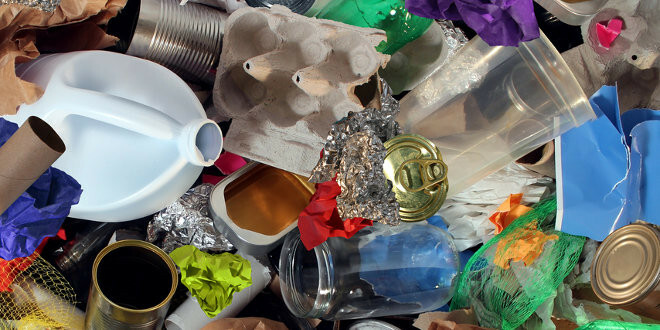 Here are a few suggestions on how to re-use some of the items we usually throw away or recycle. Use empty egg cartons as packing material instead of buying plastic bubble wrap. Cut into small pieces or crumple together and use to protect fragile items. Egg cartons are extremely light but they take up a lot of space and absorb shock very well. Do not throw away old scissors. They can be easily sharpened using sand paper. Sand the edge of the scissors using fine sand paper, and after a few minutes they will be as good as new. Keep a few glass jars that you do not want to recycle and come up with more creative ways to use them. Store pens and pencils in larger jars or store paperclips or thumbtacks in smaller jars. By implementing these simple changes, you can greatly reduce the number of items that end up in waste dumps. You will help the environment and have fun too!